Africa is well known for the production of national liberation movements (NLMs), stemming from a history of exploitation, colonisation and slavery. NLMs are generally characterised by a struggle carried out by or in the name of suppressed people for political, social, cultural, economic, territorial liberation and decolonisation. Dozens of NLMs have ascended to state power in Africa following a successful violent popular struggle either as an outright military victory or a negotiated settlement. 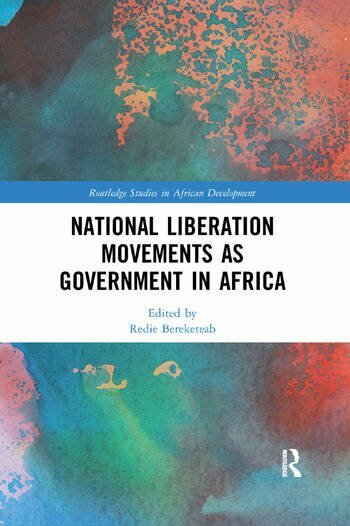 National Liberation Movements as Government in Africa analyses the performance of NLMs after they gain state power. The book tracks the initial promises and guiding principles of NLMs against their actual record in achieving socio-economic development goals such as peace, stability, state building and democratisation. The book explores the various different struggles for liberation, whether against European colonialism, white minority rule, neighbouring countries, or for internal reform or regime change. Bringing together case studies from Somalia, Somaliland, Uganda, Ethiopia, Eritrea, South Sudan, Namibia, Angola, Mozambique, South Africa, Zimbabwe, and Algeria, the book builds a comprehensive analysis of the challenges NLMs face when ascending to state power, and why so many ultimately end in failure. This is an ideal resource for scholars, policy makers and students with an interest in African development, politics, and security studies. Redie Bereketeab is Associate Professor of Sociology and Senior Researcher at The Nordic African Institute, Uppsala, Sweden.